Ep 8: "Chicken Nanban and Jidori Momokushi of Hyakken Yokocho, Nakano Ward, Tokyo"
Nakano Broadway [中野ブロードウェー]. 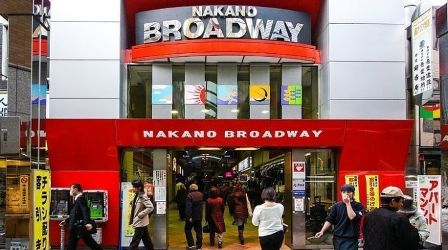 Located in northwest Shinjuku, this mall is a famous place where anime/manga fans, and hobbyists can buy collectibles, memorabilia, costumes, and out-of-print books (Btw, remember in "Amachan"? When Yui saw Haruko's old room, she said the 80's memorabilia would fetch a high price in Nakano and Kanda). Next to this mall are the alleys or "yokocho" (examples below) where plenty of eateries and izakaya can be found. Hyakken Yokocho [百軒横丁]. 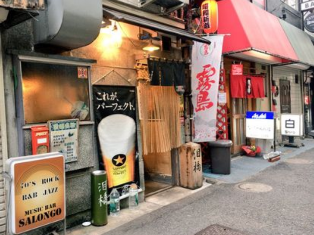 There isn't much info about this pub alley, even in Japanese google, it only directs me to "Kodoku no Gurume" related posts/websites. 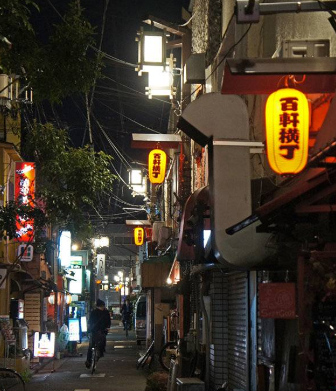 One website only mentioned that the red lanterns bearing the name "Hyakken Yokocho" were just put up early last year so it means the naming of the street is relatively new. In this context, the name "hyakken" means "hundred buildings". Another food alley shown in this episode "昭和新道" (not sure how its pronounced but maybe "Showa Shindo"? ), also doesn't have much info on the internet. Anyway, these are food alleys near Nakano Broadway where plenty of people come to eat and drink after work, so it means many of the shops are open up to midnight. Sumibi Yakitori [炭火やきとり]. 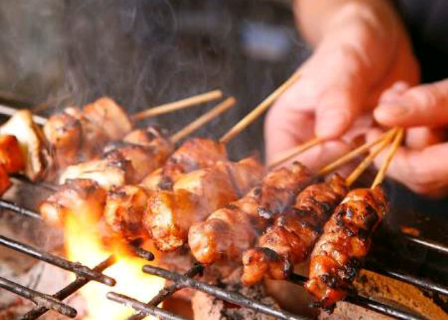 Charcoal-grilled chicken, usually skewered. Chicken Nanban [ﾁｷﾝ南蛮]. A specialty of Miyazaki prefecture (more details below). Jidori [地鶏]. There are different meanings to this, depending on the chicken. It could be some fancy "free range traditional pedigree chicken" or just simply "local chicken". Tataki [たたき]. I've already explained this before in the "Aji Fry" episode [S6E10]. But in this episode, it refers to "Jidori Tataki", which was chicken with its surface seared, while inside is still very raw, and then sliced, and to be eaten dipped in yuzukosho [柚子胡椒]. Toriwasa [鶏わさ]. Short for "Tori-Wasabi" or "Chicken-Wasabi". Chicken fillet, season with sake, salt and pepper, fried, served with wasabi spread on top and to be dipped in soy sauce. Sunomono [酢の物]. Vinegared dish or pickled in vinegar. Goro's chicken skin appetizer was prepared this way, probably with sweet/sugared vinegar, garnished with chopped negi and nori. Torigarasu Soup [鶏ｶﾞﾗｽｰﾌ]. Torigarasu means "chicken stock/broth", it could either be real chicken broth, or ones made from broth powder or cubes. Kushi [串]. Skewers. Btw, look at the kanji! It looks like skewered food lol isn't it cute? Butabara no Miso Kushi [豚ばらの味噌串]. Miso-flavored pork belly skewers. Bonjiri [ぼんじり]. Meat around the tailbone. Kashira [カシラ]. Pork cheek meat or "hoho". Hatsu (pronounced as "hots") [ハツ]. Heart. Kobukuro [子袋]. Pork or beef uterus. Shiro [白]. Colon or intestine. Tsunagi [つなぎ]. It is said to be the organ that connects the heart and the liver. Miyazaki jidori [宮崎地鶏]. A breed of native chicken which can be prepared ala charcoal grilled yakitori, seared, sashimi, or cooked in a hotpot. Chicken Nanban (pic above). Often seen in eateries in Miyazaki. It is fried chicken fillet, dipped in sugared vinegar and topped with tartar sauce that has varied recipes. Hiyashiru [冷や汁]. Cold miso soup enjoyed during summer, is a specialty of Miyazaki Prefecture. It is made of miso, dashi, and iriko (dried sardines), and may include peanuts, cucumber, tofu and chopped negi. It is chilled in the fridge before serving. Chirori [ちろり]. 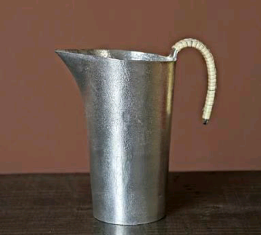 The shop here serves its liquor using "chirori", a container made of tin, that is placed in a pot of boiling water, to heat the liquor. The container can also be chilled in the freezer if you want to use it to serve cold sake. Namidabashi [泪橋]. In this episode, Goro commented on the name of the shop as, "A kind of naming that moves you to tears". 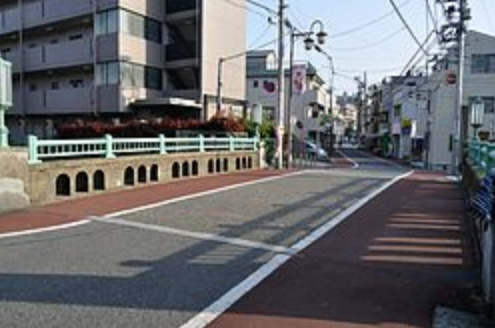 There were two bridges named "Namidabashi" in the Edo period, and both have deep connection with nearby execution grounds. One was in Arakawa which is near the Kozukappara Execution Grounds. The actual bridge/road no longer exists since the area is now submerged in water, but the name still remains since it is still used to refer to an intersection and bus stops within the area. The other Namidabashi (now renamed "Hamagawa-bashi", pic above) is in Shinagawa near the Suzugamori Execution Grounds. In the Edo period, it is said that people who are to be executed at these places would cross these bridges on their way to their deaths. At these bridges, they were allowed to say tearful goodbyes to their loved ones. That is why they've been dubbed "Namidabashi" or the "Crying Bridge" or "Bridge of Tears". "Joe, let's cross the Namidabashi towards the opposite direction" [ｼﾞｮｰよ 泪橋を逆に渡れ]. Goro said this line in reference to the famous boxing manga, "Ashita no Joe". I haven't read the manga but this is what I know: Although there is a "Namidabashi" in the manga, it is not connected to the ones above. It was Joe's boxing coach, Tange Danpei (pic above) who said this line. Tange had a shack turned gym under the bridge in fictional Doya Town at the border of Taito and Arakawa. Doya Town is a poor district where day laborers and blue collar workers live. 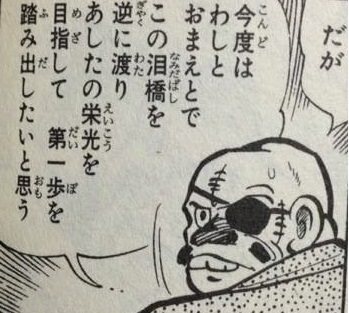 In this manga, the Namidabashi is the name of that fictional bridge going to Doya Town. Tange told Joe, "All the people who were broken in life came crossing this bridge, and flowed into this town," and that "Next time, I want you (Joe) and me to take the first step and cross this Namidabashi towards the opposite direction, and aim for the glory of tomorrow." It is called "Bridge of Tears" because workers and miserable people come home to Doya, crossing the bridge in tears, exhausted and hungry, either from having no work or earning little from back-breaking jobs. So basically what Tange was saying, he and Joe will "crawl out of adversity someday, and aim for the glory of tomorrow". "Ashita no tame ni" or "For the sake of tomorrow" [明日のために]. Goro said this line as well, in reference to "Ashita no Joe". In the manga, coach Tange motivates Joe by teaching him individual tips in the form of lists called "For the Sake of Tomorrow". These weren't really discussed in the manga though. Tanpei only gave Joe lists of his "tips" divided into parts, and only two of the lists were shown to the manga readers. "Part 1" list was about "jabs" ("Open a breakthrough for the attack", "Stop the enemy from coming", etc.). "Part 2" was about "right straights" (Break the enemy's posture with a left jab and make a breakthrough, etc.). And btw, I just realized it now... If you remember from the 2018 New Year's Eve Special SP, this line was also mentioned when Goro ate at Maruman. Maruman's shop banner has a list of tips "For the Sake of Tomorrow": "good liquor, good side snacks, good conversation, and a good time". This Episode's Guests. I don't know if this was intentional or coincidental but the name of the actor who played the Taisho is Chiba Tetsuya, which was also the name (although written differently) of "Ashita no Joe"'s mangaka. There is however, a real mangaka in this episode: Yaku Mitsuru who played the shop's ojiisan patron.